We prefer to inspect the property, to ensure we can provide not only an accurate assessment but , also a fixed price quotation which, often, is less than a calculative / conservative estimate. 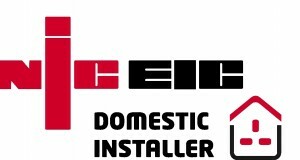 AB Electrical are NICEIC approved electricians that are fully trained to the latest 17th Edition standards. All our electrical installations are covered by 5 year warranty to give our clients a full peace of mind!. Why Should I Have My House Re-wired? Overtime your electrical installations may deteriorate, therefore you electrical installation may need replacing. Here at AB electrical we understand the importance of electrical safety and pride ourselves in being able to offer yet another service!